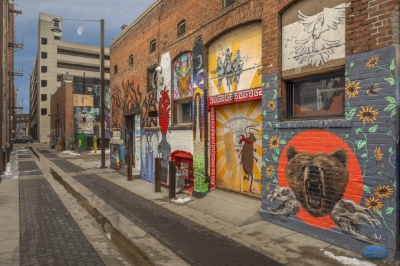 Urban Art is a fun look at downtown grafitti in Idaho. 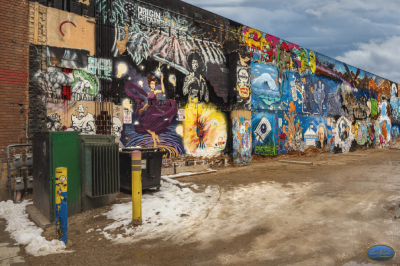 We are selling prints as street art scenes, not individual artist's. All images have been photographed using a Nikon D810 36MP full frame body and prime lenses for best quality. Choosing the right photo for your office can be easy with our new PayPal check-out system. First locate the photo you wish to buy, then choose the size and title of print, then click buy now. Its that simple, now you can try it. 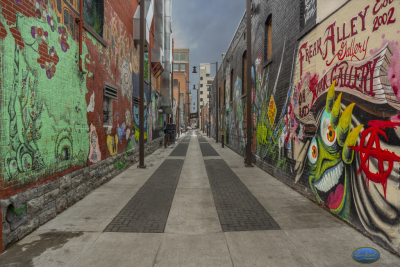 This downtown shot was captured from within the back streets section called "Freak Alley". A dedicated street where the artist can paint. See this photo in high resolution , before you buy it. 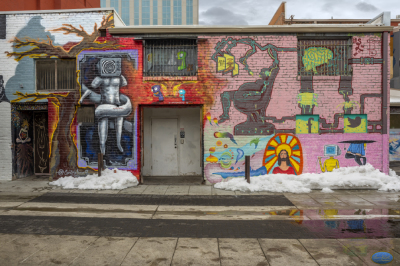 Bright and colorful is the art, down Freak Alley.